SAN JOSE, CA — The Range Companies have successfully deployed Calix Support Cloud (CSC), generating improvements in operational efficiency and customer service while reducing truck rolls by 42 percent in the first 30 days. The Range Companies are comprised of four operators that serve rural communities spanning parts of Montana, Wyoming, Colorado, and South Dakota. Due to its large geographic coverage area, truck rolls can add significant costs to operations and impede quick resolution of subscriber issues. With CSC, the Range Companies’ remote support services have already realized an impressive 30 percent in operational cost savings—a 173 percent return on investment in the first six months. The Range Companies are proud of their role in bringing “big city” communications services to rural communities while delivering “small town” customer service. 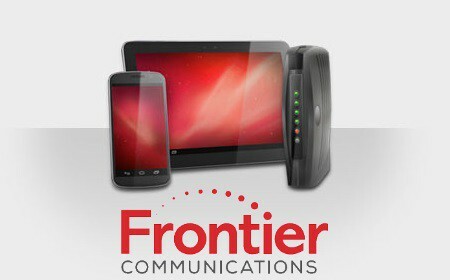 The provider connects 18,000 voice customers and over 12,000 broadband subscribers scattered over hundreds of square miles. Subscriber issues that involve an on-site technician can require as much as three hours of travel time. Calix Support Cloud enables the Range Companies to address issues remotely and proactively. Through the application of CSC’s self-healing capabilities, the Range Companies can resolve issues before they even impact the subscriber experience. CSC delivers a new means to differentiate their customer experience and optimize their operations. The Range Companies have been particularly impressed by the quick time-to-value realized through CSC. They purchased CSC in July of 2018 and by August, only 18 percent of customer support calls required truck rolls – compared to 31 percent in August of 2017 – a savings of $15,000 per month. The Range Companies have partnered with Calix for more than a decade to build world-class access networks and deliver exceptional subscriber experiences. CSC is the latest innovation from Calix that the Range Companies have deployed to innovate, improve operations, and ensure the delivery of exceptional service for their subscribers. Founded as the Range Telephone Cooperative, Inc. in 1953, the Range Companies have grown through multiple acquisitions of regional exchanges and by forming a competitive company to provide wholesale and transport services. To support their growth strategy, they have also simplified their GPON network operations with the AXOS platform. AXOS is providing the Range Companies with a common set of service models across all of their networks. With AXOS, they can maintain common operational workflows across these networks while enabling each company to address its own unique deployment requirements. By adding CSC to its arsenal, the Range Companies are also able to ensure that each of their companies delivers a consistent subscriber experience.